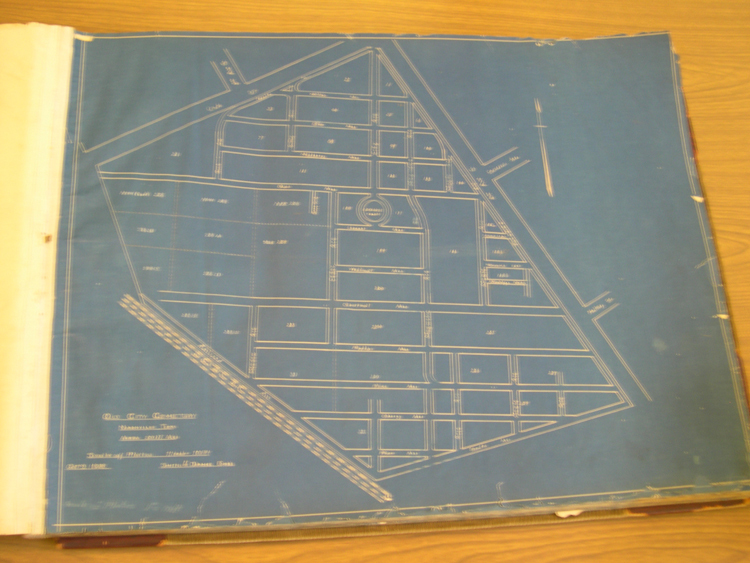 DIED- On the 22nd Instant, at the residence of Col. Armstrong, in this town, of a pulmonary complaint, Jeffrey Lockelier, a free man of colour, commonly called Major Jeffrey, aged about 42 years. The deceased resided in this town for upwards of twenty years; and though a very humble member of society, still it may be truly said, but few enjoyed the esteem and good will of the community to a greater extent than he did. His universal benevolence was a distinguished trait in his character; and it seemed to be the business and the pleasure of his life to serve others without even the expectation of reward. And none could boast of a heart more devoted to his country’s cause than the humble subject of this article. He was present at almost every southern battle which was fought during the last war. He was in the Creek country during the whole of that war, and participated in the battles of Enotechopco, Emuckfa, and the Horse Shoe; and he was distinguished for his valour in the bloody conflict between the artillery and the Indians at the former place. But his military career did not close with the Indian campaigns. He followed the standard of Gen. Jackson to the siege of Orleans, and participated in the action of the twenty third as well as that of the glorious Eighth. Nor did his services cease with the termination of hostilities against Great Britain. At the breaking out of the Seminole War he again took the field, and was at Sewanny-- the surrender of Fort St. Mark, and the assaults on Pensacola and the Barrancas. His military services terminated only when his country ceased to have enemies. 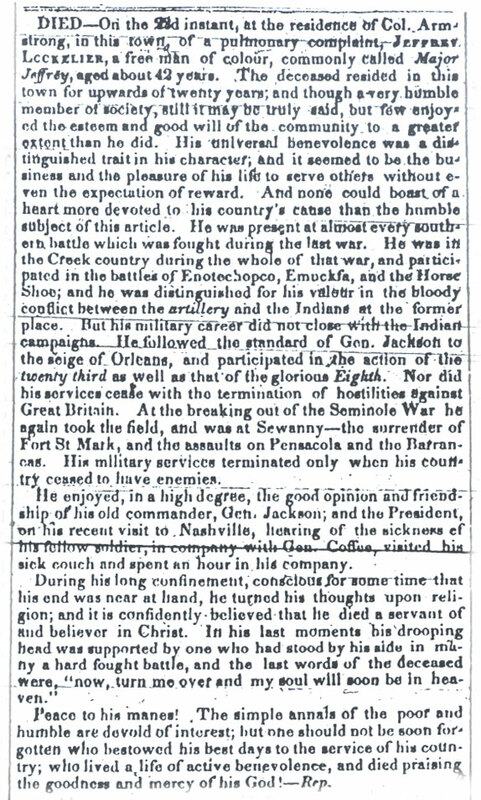 He enjoyed, in a high degree, the good opinion and friendship of his old commander, Gen. Jackson; and the President on his recent visit to Nashville, hearing of the sickness of his fellow soldier, in company with Gen. Coffee, visited his sick couch and spent an hour in his company. In this town, Capt. George M. Burnet, a respectable citizen of Louisville, KY, who having been taken sick on his way to Alabama, was able only to get thus far. 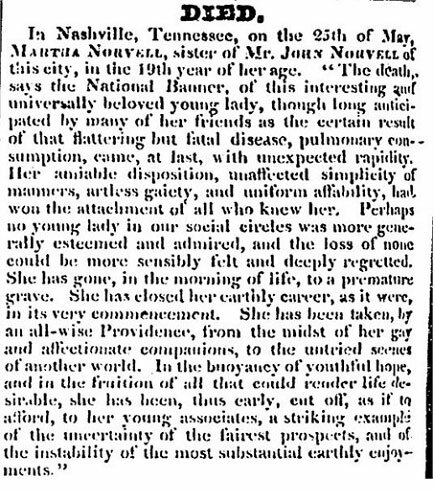 The citizens of Nashville are respectfully invited to pay the last tribute of respect to the memory of a worthy stranger by attending his funeral, from the Union Hall, Market street, at four o’clock this afternoon. At Princeton, KY, where he had gone on a visit, Mr. Milton Austin, son of Mr. George Austin, of this town.